Thank you for your email and thank you on behalf of our residents’ and the excellent service you have provided them over the many years. 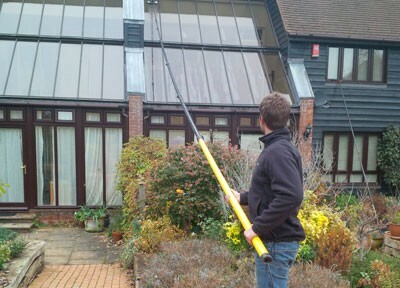 Gilbros Ltd have been a supplier of window and general cleaning services to South Essex Partnership NHS Trust formerly Bedford and Luton NHS Trust for over 25 years their punctuality and performance has never been in question over that time. They have always responded immediately to one off incidents, stuck to the required schedule or provided a valid reason if unable to. They are very flexible and have a good understanding of working safely in difficult areas such as our mental patient units. Their monitoring, communication and attention to contract management has been exemplary as has their management and supervision network. I would have no hesitation what so ever in recommending Gilbros Ltd to anyone wanting an exceptional professional cleaning service provider. In my opinion, the response times from Gilbros are unparalleled and I cannot think of one occasion where someone has failed to turn up at short notice. Of this, we rely a great deal, as sometimes circumstances are beyond our control and we need help quickly. I am reassured that the team are a phone call away, usually only minutes away. This is part of their exceptional service that I have been spoiled with for the last 15 years. I have experience with other cleaning suppliers in the Spirella Building, who are notoriously slow responding. I view Gilbros as an extension of our core staff in the office: they have achieved this through their own hard work, consistency, extremely high standards, and I completely rely on them and trust them implicitly. M. Price, Spirella Building, Letchworth.